You’ve taken the plunge, you’ve left the rat race and set up your own business. Now, how can you make it grow? You’ve got the laptop lifestyle, setting your own hours and working from any location that suits you. It sounds ideal – but you’ll soon find that running a business from your home has some drawbacks. If you need a bit of space to expand, self storage might just be the answer you need. If you have the type of business that holds a lot of stock, you’ll soon find it takes over the spare room in your house – if you have one. Boxes pile up down the corridors, and soon you’re using them as side tables in the living room. Holding plenty of stock is great for your customers, but not for your family. A self storage unit, on the other hand, can be flexible to your needs. You can choose the size of unit you need and expand into additional units for specific seasons as you need to. Your unit is fully secure – and it keeps valuable stock and temptation away from your family home. Are you commuting into the city every day for meetings? 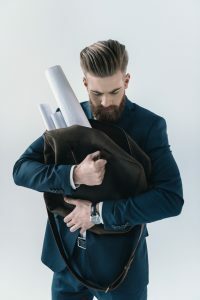 Your business might rely on plenty of face-to-face time with clients, and travelling into London by train can be tiring, especially when you are juggling your laptop, different product samples for every meeting and heavy winter coats. By keeping a small locker in the city, and handily, right by the station, you can commute in comfort, carrying only the essentials. 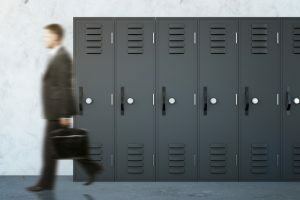 Then once you arrive you can pick up the samples you need from your locker, and head off to a calm and relaxed meeting. The disadvantage of having a mobile office is that once you’ve left home, you rarely have time to pop back if you have a mishap. You know that the day you have an important client meeting will be the day you spill ketchup on your shirt at lunchtime. Having a self storage locker close to hand means you can keep a change of clothes to hand, just in case, drop off your winter coat on a day the sun comes out to shine, or keep your spare umbrella for unexpected showers. Be prepared – and no matter what the meeting, you will always look your professional best, ready to sign that big contract. Your business might rely more on customer data than stock – but all that paperwork still builds up and takes up space at home. Secure indoor storage gives you plenty of room for your filing system, and keeps everything dry for as long as you need. Urban Locker is ideally situated to support commuters, sole traders and entrepreneurs. Our secure indoor storage facility is right next to Old Street Station and close to co-working spaces in the heart of Shoreditch.